Added by Lezlie Cebulski on January 13, 2019. In ancient times, shame originated as a tactic to control tribal members. Tribes would protect members if they did not step outside of the “pale” or defined territories, but if a member did not obey the tribal rules, the tribe exercised abandonment or shame. Abandonment or shame/shunning meant struggle or death, as survival depended upon living within the protection of the tribe. Today, many religions also use shame or the fear of being shamed as a method to instill obedience to religious rules. Like ancient tribes and religions, families use shame in the same way to control family members. Dysfunctional family expectations may be to keep the “dirty secrets” of alcoholism, sexual abuse, addictions to food or drugs, and hoarding. This sense of shame in family members is passed down from one generation to another, often without members being consciously aware of it. 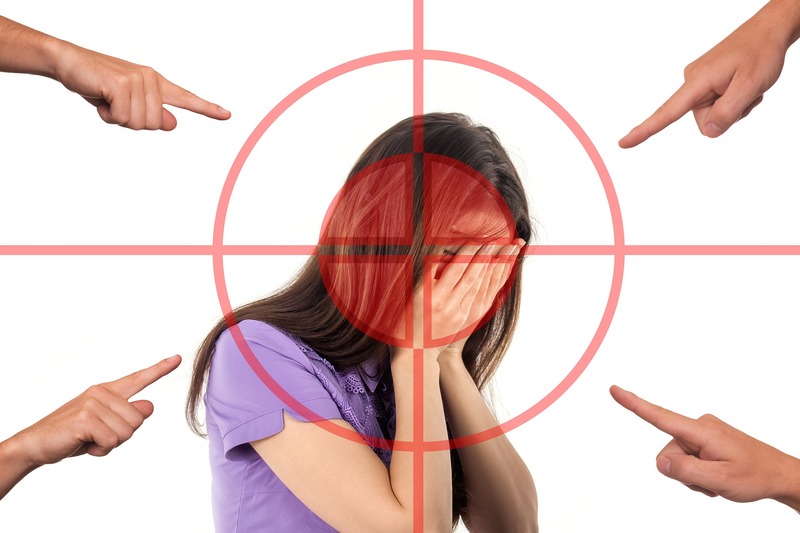 Shame may also originate from negative comments on physical appearance, poor academic performance, learning disabilities, social status, financial struggle, chronic illness, and physical challenges. Shame is an emotion that is toxic because it internalizes into negative self-worth. Shame tells us that “we are not good enough.” Unlike shame, guilt is an emotion which is only attributed to behavior, not the person. Guilt says, “I did something bad.” Shame says, “You are a bad person.” Shame is an emotion highly correlated with anxiety, depression, addictions, chronic pain, digestive disorders, eating disorders, perfectionism, compulsive behaviors, social behaviors, violence, and bullying. Emotionally, shame can drive us to not feeling good enough, needing and seeking approval. Shame can lead us to withdraw from a social connection or act out in anger. Shame can cause bonding with others who reinforce feelings of victimhood. These unhealthy relationships can spiral into more self-hatred and self-abuse. Living with shame is damaging to self-worth and makes it difficult to make positive life choices based on self-love and care. Physically, shame drains vitality and can be part of the cause of dis-ease. A Bucknell University researcher, Jean M. Lamont, found that women who felt body-shame tended to have more infections and overall lower levels of health. I personally believe this phenomenon is caused by mind-body interactions via neuropeptides (Drs. Candice Pert, Bruce Lipton & Joe Dispenza.) Also, if a person feels body-shame, she/he cannot love her/his body. Lack of self-love leads to lack of self-care leads to poor health. Another study published in the Journal of Psychosomatic Medicine found that feelings of shame increased pro-inflammatory cytokines. Cytokines are a large group of proteins, peptides or glycoproteins secreted by cells of the immune system which mediate immunity and inflammation. We know that shame is toxic to our body, mind, and spirit. What can be done about it? The ego wants to protect the self from the pain of shame so, it can be difficult to voice the cause of shame. Shame thrives in secrecy. Finding a safe support group, therapist, or holistic mental health practitioner to discuss your source of shame helps release it. By breaking the secrecy and connecting with support, you can be vulnerable. Brené Brown’s work reminds us that when people have a healthy connection with appropriate boundaries and vulnerability, shame cannot exist. Safely telling your story with vulnerability will help set you free from shame. However, after a while, telling your story can become a trap. The ego starts to identify with it, and “the story” can keep you stuck from feeling truly free. Discussing the source of shame is the first step in the healing process. Letting go of your story and the source of shame is freedom. The memories are there, although foggy, they do not matter anymore. So how do you let go of your source of shame and move on? Some effective methods are described below. · EFT Tapping – This is an energy meridian technique which stimulates mind-body points to release stagnant energy and dissipate energy which gives negative emotions a life of their own. It breaks the emotional patterns and allows emotional re-patterning of self-love and forgiveness. · Essential Oils – Aromatherapy via the olfactory system stimulates the amygdala in the brain’s limbic system, the emotional center for the brain. This helps emotional release, especially when combined with EFT Tapping. · Spiritual Guidance – Connecting with your higher power and divinity within helps you to redefine yourself as a child of God, precious and worthy of self-love and care. Combining the above methods helps speed the process of releasing shame and the identification of it. A gifted, knowledge practitioner can apply a combination of the above and help you release shame and free your physical and emotional energy and focus on the healthy life you want to create.